Alieu Sartie, ILRI genebank manager (right) and technician Solomon Fikre checking forage seed samples before delivery to the Svalbard Global Seed Vault (photo credit:ILRI/Lei Sun). 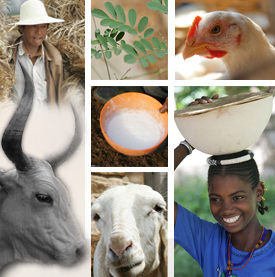 The International Livestock Research Institute (ILRI) is home to the world’s only genebank dedicated wholly to forages. 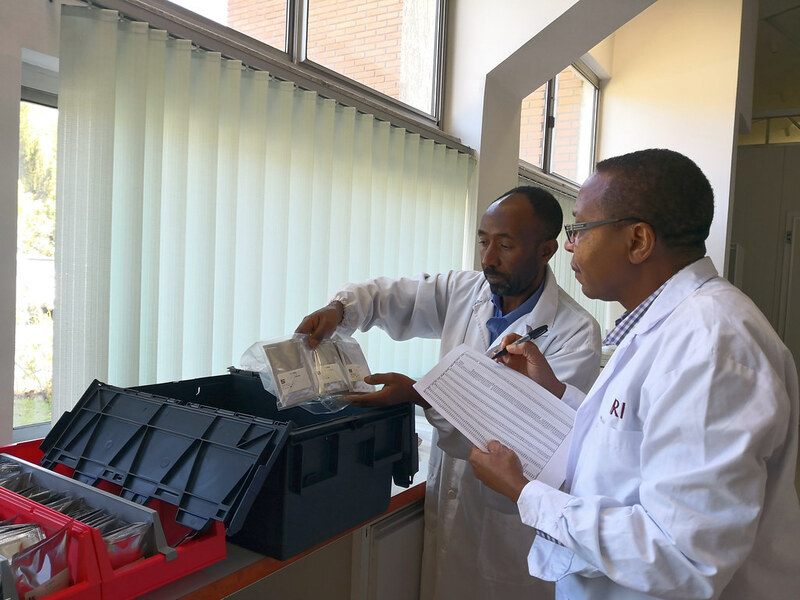 Located in Addis Ababa, Ethiopia, the ILRI Forage Genebank is one of 11 genebanks within CGIAR, a global partnership of 15 international research centres working with national and other partners for a food-secure future. The CGIAR genebanks are located in countries that are ‘centres of origin’ of key crops to make optimal use of the natural diversity of indigenous plants. Tags: CGIAR, ILRI Forage Genebank. Bookmark the permalink.